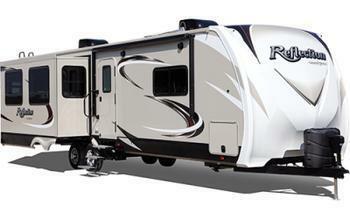 Grand Design RV is recalling 480 model year 2015-2017 Reflection recreational trailers, model 357BHS and 367BHS, manufactured November 12, 2014, to September 22, 2016. The vehicles have an incorrect Gross Axle Weight Rating (GAWR) on the Federal Certification Label, stating a GAWR of 7,000 lbs when the actual GAWR is 6,400 lbs. As such, these vehicles fail to comply with the requirements of 49 CFR Part 567, "Certification." If the operator loads the vehicle to the GAWR on the label, it can cause a loss of vehicle control, increasing the risk of a crash. Grand Design will notify owners, and dealers will install a corrected Federal Certification Label, free of charge. Owners will also have the option to replace the Certification Label themselves, free of charge. The recall is expected to begin October 24, 2016. Owners may contact Grand Design customer service at 1-574-825-9679. Grand Design's number for this recall is 910007.